Pictures courtesy of greenvilleonline.com Return to the Green is held each March, on the Sunday prior to St. Patrick’s Day. 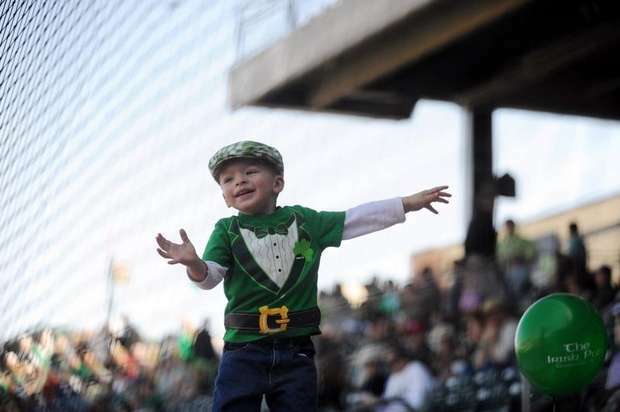 This Irish cultural festival and one-day event has been a signature event in Greenville’s West End district since 1996 and is Greenville’s first outdoor event each year. The celebration includes traditional Celtic music, bagpipes, dance, Irish food, drinks and a variety of children’s activities. This family friendly event draws thousands of green wearing, fun loving people. Won’t you join us on Sunday March 17 at Fluor Field 2-7pm? This is a free admission event and all children’s activities are free of charge.